This sign is for Our Own Hardware Store. The sign’s colors are blue and orange. 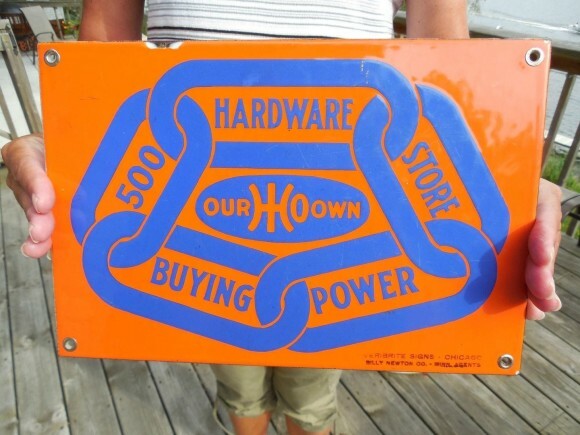 The text on the sign reads: 500 Hardware Store Our H O Own buying power. The sign shows chain links around the text.